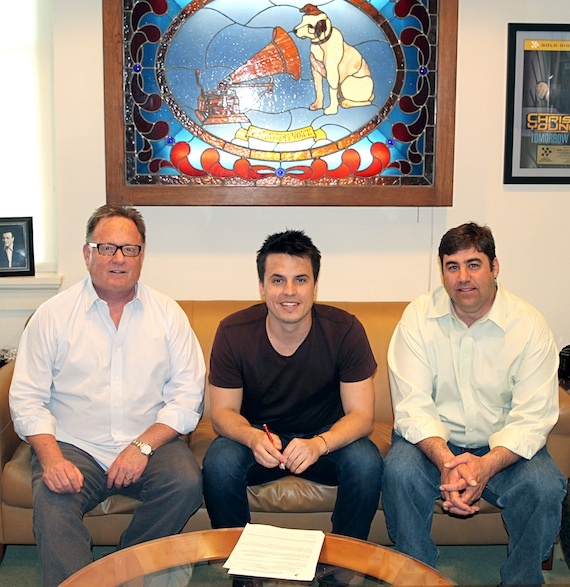 Singer/songwriter and Wyoming native Josh Dorr became Sony Music Nashville’s newest recording artist this week. Pictured (L-R): Chairman & CEO Gary Overton, Josh Dorr, and A&R VP Jim Catino. 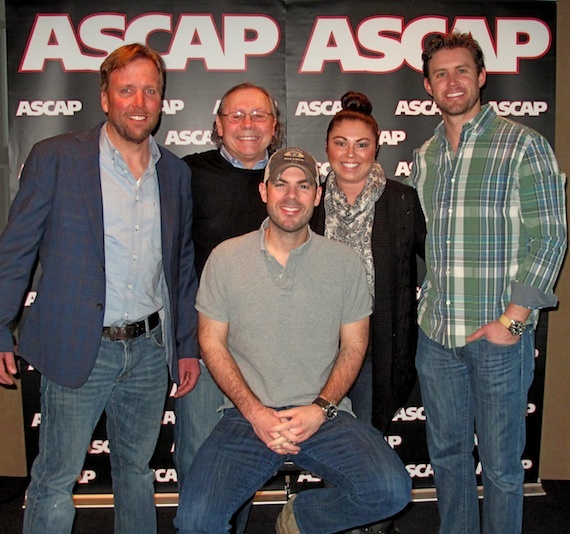 Patrick Joseph Music, a joint venture with Songs Music Publishing, has signed ASCAP member Ben Caver to its roster of songwriters. A native of Hoover, Alabama, Caver came to Nashville in 2003 to attend Belmont College. He has had songs recorded by Rascal Flatts, Kenny Rogers, Trisha Yearwood, Lauren Alaina and more. Pictured (L-R): Safford Motley PLC’s Scott Safford, PJM President Pat Higdon, Ben Caver, PJM Creative Manager Stevie Erickson and ASCAP Associate Director of Membership Ryan Beuschel. 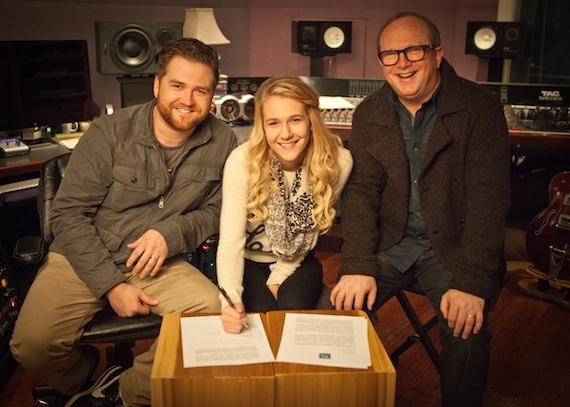 Producer/publisher Charlie Peacock (The Civil Wars) has signed singer-songwriter Peyton Parker to an artist development agreement with Twenty Ten Music. The Georgia native moved to Nashville in 2013 and was a recent winner of the Southern Ground Social Club’s Open Mic Showdown. Twenty Ten Music is a publishing and production company owned by Peacock and David Kiersznowski. The TTM catalog includes The Civil Wars, Ruby Amanfu, k.s. Rhoads, and The Daylights. Peacock’s current production credits include The Civil Wars, Kris Allen, The Lone Bellow, Holly Williams, Ben Rector, Brett Dennen, and “Misery Chain” for Soundgarden frontman Chris Cornell featuring Joy Williams, from the soundtrack to the movie 12 Years A Slave.